1. Lets bind and break the power of witchcraft in the country. At one time the witch doctor was a leader in every village in PNG. Pray that those who practice witchcraft will be delivered and come to the light of Jesus Christ. 2. Pray against religious nominalism. There are many established denominations that go through the motions of religious excercise but do not experience the reality of Jesus, His love, His healing, and His power. 3. Pray for the national Foursquare Church leaders. Timothy Tipitap is the National President of the Foursquare Church in PNG. Kauga Baglame is the General Supervisor. Pray for all the Pastors, leaders, teachers, principals, nurses, and doctors that assist the Foursquare work in PNG. 4. Pray for leadership development. 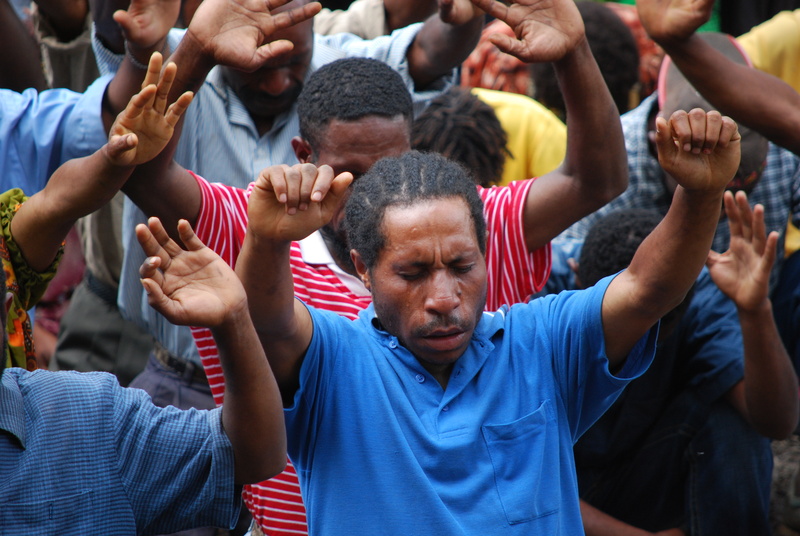 Pray for more and more leaders to be called out, trained, and equipped for the building of God’s kingdom in PNG. 5. Pray for the Greer family. Pray that they will accurately, lovingly, and powerfully represent Christ to the amazing people of PNG. Pray for their health and protection.